Life is an amazing and interesting journey insofar as the way in which new friendships start. A few years ago I was involved in organising a Christmas festival in Newcastle West when I received a tweet from a “Roisin Meaney” offering to help out by doing some children’s storytelling sessions. I’m not one to look a gift horse in the mouth and gladly accepted. 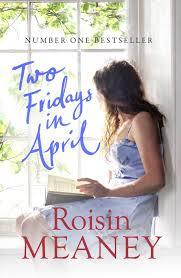 However, Roisin’s offer turned out to be a lot more than storytelling and a friendship was formed. When I first read the tweet, the name seemed familiar but little did I know Roisin Meaney is an award winning best selling author of chick lit. She told Sinead Desmond in a TV3 Ireland AM interview that she doesn’t mind it being called that as long as people read it. And sure why should she object to being categorised in that group? 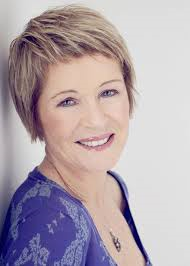 Isn’t it full of wonderful authors like Maeve Binchy, Cathy Kelly, Marian Keyes, Patrician Scanlan and many more. 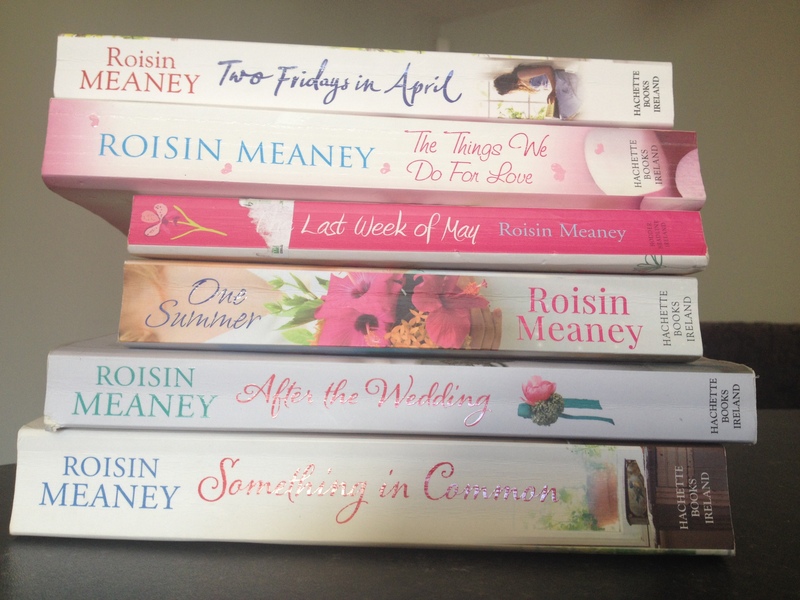 I love their writing and I love Roisin’s. I’ve read many of her babies as she likes to call them, including her eleventh and latest one, Two Fridays in April. Roisin deals with lots of different themes in the book from grief to assault to “random acts of kindness”. Roisin’s offer to Winterfest and her subsequent inadvertent offer of friendship to me could be considered “RAKs”. This is something that she is an advocate for and talks about in detail in her Ireland AM interview. However, when she tweeted me in 2012, I suspect it was a totally unconscious RAK but one I am very grateful for. Congratulations on the latest addition to your family my dear friend Roisin. I look forward to number 12 and your triplets being completed later this year! Lovely blog post Sharon 🙂 Need to borrow the rest of your Roisin books! Am about to start Two Fridays in April. Roisin’s a wonderful writer. Thanks Maria. You are welcome to the books any time.